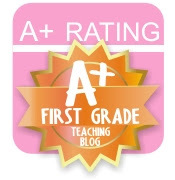 Fall Into First: You Will LOVE Beeing in First Grade! It is so hard to believe that we have only 7 days left of school! This year has truly gone by SO quickly. I have a great group of kids and parents this year and I am going to be so sad to see them go. As we spend our final days together, I like to challenge students to really reflect of the growth they have made this year. 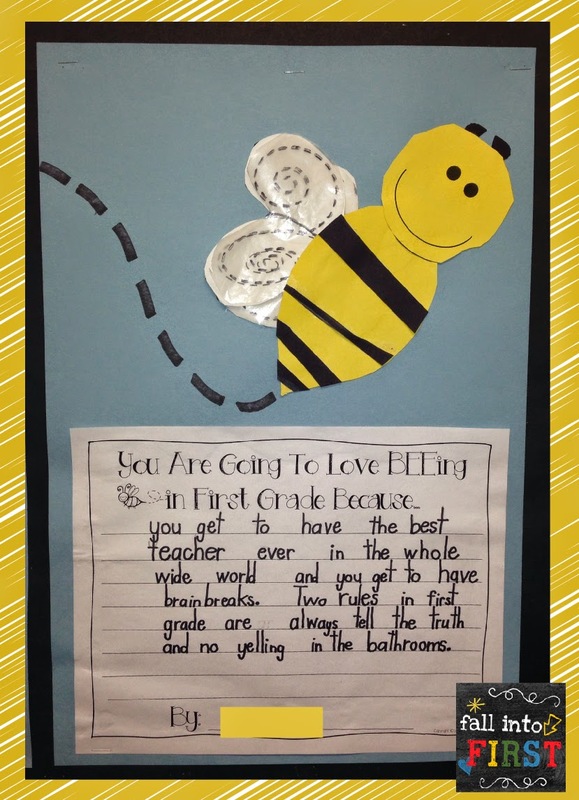 One way I do this is by asking my current students write a little note for my future class and we display their notes on a bulletin board during Meet Your Teacher Night. Here is a little peek at our completed bulletin board. I asked the kids to write two things that future students are going to be excited about and two rules that they must learn in first grade. 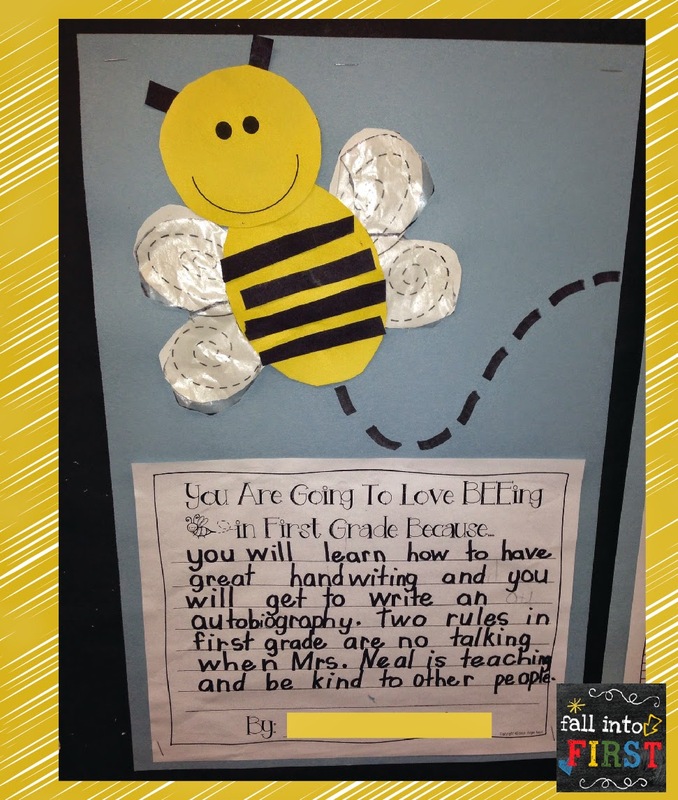 I love having student work displayed and these letters are perfect for Meet Your Teacher Night because they really showcase for parents where we are headed with our writing. Students love looking at them since so many of them know the former students who wrote them and they get a little peek into first grade. If you are interested in this project click here to check it out. 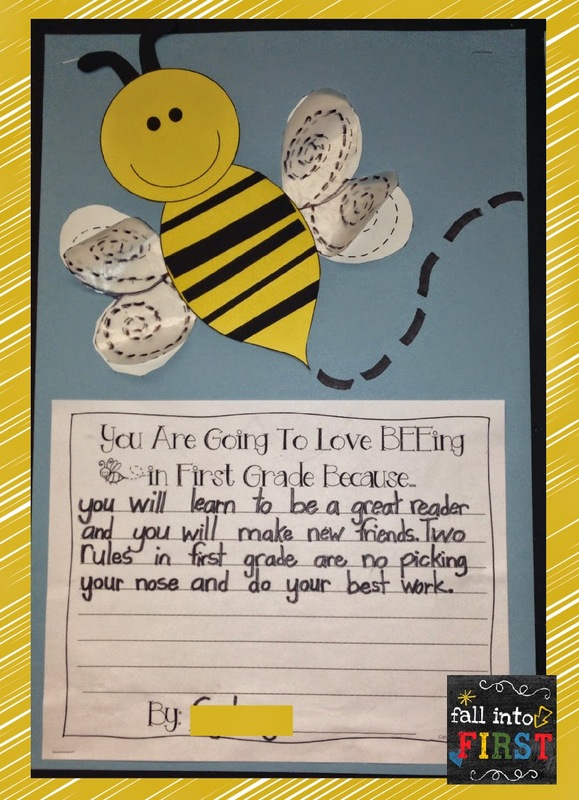 The packet includes the poster, writing page and Bee Craftivity. Note: I printed the poster at Staples. During the month of May, they are having a great sale where posters are 50% off! So I only paid $10 for this cute poster. 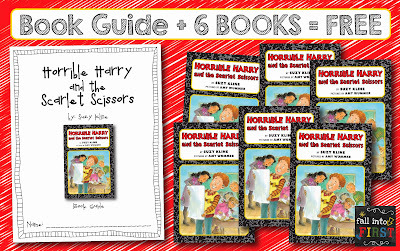 Don't forget to enter my Horrible Harry giveaway! A winner will be chosen on May 28th. Simply click on the picture below to enter the giveaway. Good luck! 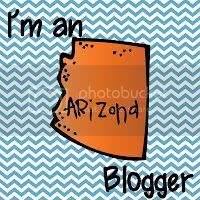 I am so looking forward to this week, on Tuesday my class and I will be smashing pies into my principals face and if that is not a reason to get out of bed, I don't know what is! Of course I will share pictures :) Have a wonderful week everyone!